Day 7 was nice. My crazy person food cravings were gone and I felt incredibly focused and determined. It’s pretty incredible how much nutrition has to do with performance. I can finally deadlift over 1.5 times my body weight (my goal is to hit 2 x my body weight). Getting stronger feels so good! For breakfast, Chad made me egg tacos. I know it sounds kind of gnarly, but they’re actually quite delicious. 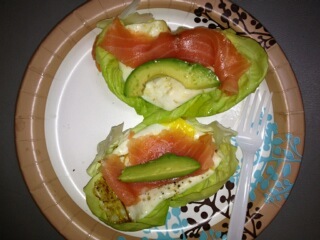 He fried up a couple of eggs in some coconut oil, put them in butter lettuce and topped them with avocado and smoked salmon. They tasted so good. 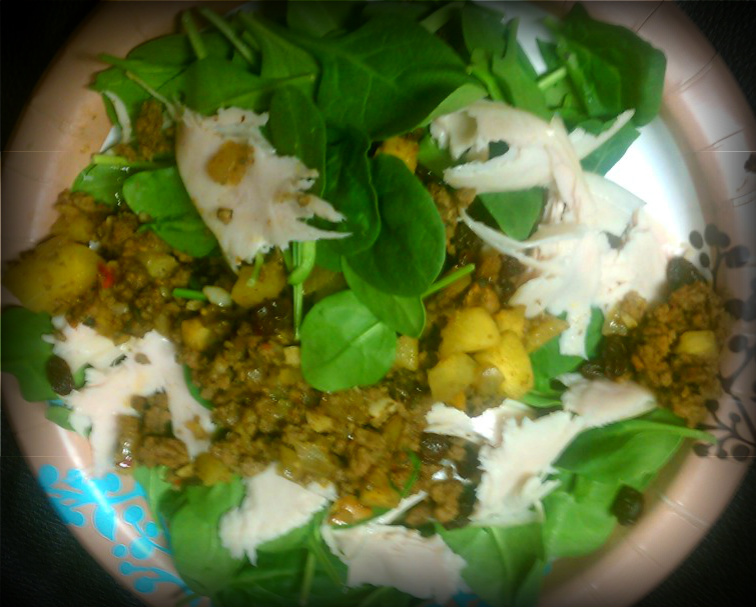 For lunch, I made a salad of spinach, leftover chili, a couple of turkey slices, and some avocado. The chili tasted even better the next day. All the flavors married beautifully. He’s definitely going to have to make that again. For dinner, we had rosemary chicken and asparagus. It was amazing! First, I cooked the chicken in a bit of coconut oil, seasoning it only with cracked black pepper and a touch of kosher salt. After the chicken was cooked, I set it aside. In the same pan, I put half an onion (diced), 5 cloves of garlic, about two cups of diced mushrooms, and five sprigs of rosemary. I let the veggies sauté until the onions were soft and sweet. 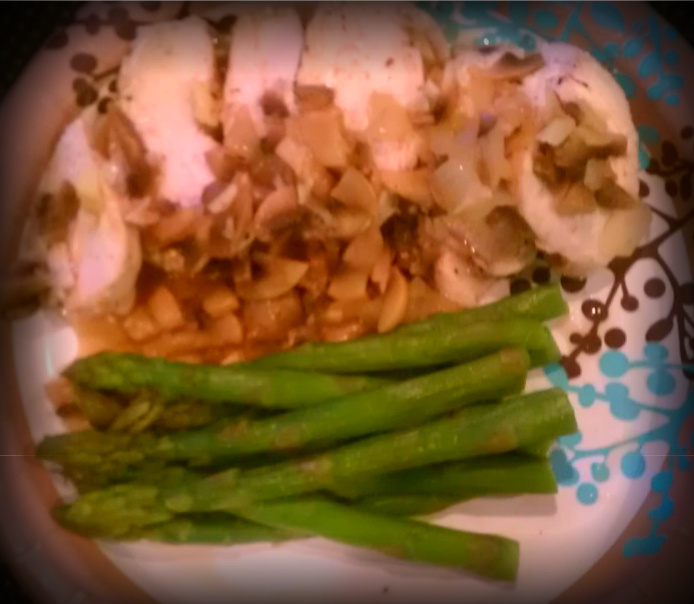 Then I just poured the sauce over the chicken and served it with steamed asparagus. I was sure to make enough for leftovers. The flavor was incredible and the aroma was just an added bonus.